A man who becomes a Freemason joins a long line of gentlemen who distinguished themselves by taking an obligation to God, their country, their family and their brothers. To see what kind of person takes that oath, consider the following people who lived as Freemasons. Abbott, John - Canadian Prime Minister (1891–1892), Freemason initiated into St. Paul's Lodge, No. 374, Montreal in 1847. Abbott, William "Bud" - of the Abbott & Costello comedy team, Freemason. Adams, Sherman - Governor of New Hampshire and U.S. Congressman, Freemason. Andrade, Edward Neville da Costa - English physicist. Freemason initiated into Lodge Progresso No. 4 in 1935. 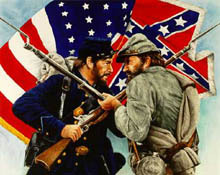 Armistead, Lewis Addison - Confederate general during the American Civil War. Freemason in Alexandria-Washington Lodge #22, Alexandria, Virginia. Aguinaldo, Emilio - President of the Philippines. Freemason in Pilar Lodge No. 203 (now Pilar Lodge No. 15) at Imus Cavite and was founder of Magdalo Lodge No. 31 (renamed Emilio Aguinaldo Lodge No. 31 in his honor). Agustín I - emperor of Mexico, Freemason. Aldrich, Nelson - United States Senator from Rhode Island. Freemason, treasurer of the Grand Lodge of Rhode Island 1877-78, member of What Cheer lodge. Aldrin, Edwin "Buzz" - Astronaut, Freemason in Montclair Lodge No. 144, New Jersey. Alecsandri, Vasile - Romanian Poet, playwright, diplomat, Freemason. Alfaro Delgado, José Eloy - President of Ecuador, Freemason. Allende, Salvador - Socialist president of Chile (1970–1973), Freemason in Lodge Progreso No. 4, Valparaíso. al-Jaza'iri, Abd al-Qadir - Sufi mystic, scholar and political leader. Freemason, in 1864 or 1867 a member Henri IV, Paris, but degree work conducted at Lodge of the Pyramids, Alexandria, Egypt. Ames, Ezra - Portrait painter, Freemason. 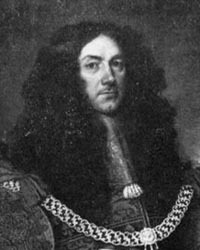 Anspach, Jules - Mayor of Brussels in Belgium, Freemason. Apple, Raymond - Chief Rabbi, Great Synagogue (Sydney), Australia, (1972–2005), Freemason. Appleton, Sir Edward Victor - English Physicist. Nobel Prize 1947. Freemason in Isaac Newton Lodge No. 859, Cambridge. Argetoianu, Constantin - Prime Minister of Romania, 1939, Freemason. Armstrong, John, Jr. - Delegate to the Continental Congress, United States Senator and United States Secretary of War. Freemason in Hibernia Lodge No. 339, New York. Arne, Thomas - Composer of Rule Britannia, Freemason. Arnold, Eddy - Country music singer, Freemason. 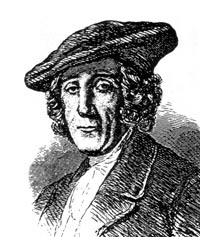 Arouet, François-Marie - Also known as Voltaire, this French author was a Freemason raised 1778 by Benjamin Franklin in Loge des Neuf Sœurs, Paris. Asachi, Gheorghe - Romanian writer, poet, painter, historian, dramatist and translator, Freemason. 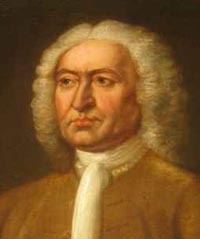 Ashmole, Elias - English antiquary and creator of Oxford's Ashmolean Museum, was a Freemason raised in Warrington, Lancashire. Astor, John Jacob - American financier, Freemason in the Holland Lodge No. 8, New York, New York, 1790. Atatürk, Mustafa Kemal - National hero and founder of the modern Republic of Turkey. Freemason in Macedonia Risorta Lodge No. 80 (some claim Lodge Veritas), Thessaloniki. Austin, Stephen F. - Secretary of State for the Republic of Texas. Freemason in Louisiana Lodge No. 109, Missouri. Autry, Gene - Movie and television star, Freemason in Catoosa Lodge No. 185, OK.
Bach, Johann Christian - Composer. Freemason in Lodge of Nine Muses No. 235, London. Baigent, Michael - British author and editor of Freemasonry Today, Freemason. Baker, Simmons Jones - US physician, planter, and legislator. Freemason, Grand Master of Masons of North Carolina in 1832 and again in 1840. Laid the cornerstone of the state capitol building in Raleigh, North Carolina on July 4, 1833. Bălcescu, Nicolae - Romanian historian, journalist and 1848 revolutionary, Freemason. Ballard, Harold - One time owner of Toronto Maple Leafs National Hockey League team. Freemason in Corinthian No. 481, GRC, Toronto, ON. Bărnuţiu, Simion - Romanian philosopher and politician, Freemason. Barrio, Diego Martínez - Prime minister of Spain and founder of the Republican Union Party, Freemason. Bartholdi, Frederic - Sculptor of the Statue of Liberty in New York. Freemason in Lodge Alsace-Lorraine, Paris. Barton, Edmund - First Prime Minister of the Commonwealth of Australia, Speaker of the legislative assembly. Freemason. Basie, William "Count" - Jazz orchestra leader and composer. Freemason in Wisdom Lodge No. 102 (Prince Hall), Chicago. Also a Shriner. Bates, Frederick - Governor of Missouri, Freemason. Bayh, Birch - US Senator from Indiana from 1962-1981, Freemason. Beard, Daniel Carter - Founder of the Boy Scouts. Made a Freemason in Mariner's Lodge No. 67, New York City, and later affiliated with Cornucopia Lodge 563, Flushing, New York. 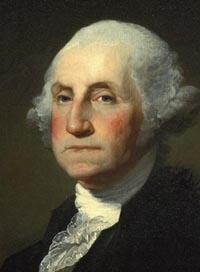 Bedford, Gunning Jr. - Signer of the US Constitution, Freemason, first Grand Master of Masons in Delaware. Beneš, Edvard - President of Czechoslovakia (1935–1939, 1945–1948). Freemason in Ian Amos Komensky Lodge No. 1, Prague. Bennett, R.B. - Prime Minister of Canada 1930-1935, Freemason. Bentsen, Lloyd M. - US Senator from Texas, Freemason. Berlin, Irving - Composer. Freemason in Munn Lodge No.190, New York. Betances, Ramón Emeterio - Puerto Rican politician and statesman. Freemason in Logia Unión Germana, San Germán, Puerto Rico. Bibescu, George Valentin - Romanian aviation pioneer, Freemason, Grand Master of Romanian Grand Lodge from 1911 to 1916. Bingham, Henry Harrison - Union Army officer during the American Civil War. Freemason in Chartiers Lodge #297, Canonsburg, Pennsylvania. Bingham, Hiram III, - American explorer, discovered the ruins of Machu Picchu. Freemason in Hiram Lodge No. 1, Connecticut. Binički, Stanislav - Lived 1872–1942, Serbian composer and conductor, Freemason. Bischof, Francis - Queensland Australia Police Commissioner from 1958-1969, Freemason. Blair, John - US Associate Justice (1789–96). Freemason, Grand Master of Virginia from 1778 to 1784. Blanc, Mel - American voice actor, Freemason. Blatchford, Samuel - US Associate Justice (1882–1893), Freemason. Bloom, Moses - Mayor of Iowa City, Iowa. Freemason. Bolintineanu, Dimitrie - Romainan poet, politician, 1848 revolutionary, Freemason. Bolliac, Cezar - Radical Romanian political figure, amateur archaeologist, journalist and Romantic poet, Freemason. Bond, Shadrach - First Governor of Illinois, Freemason. Bonifacio, Andrés - Leader during Philippine Revolution from Spain. Freemason in Taliba Lodge No. 165 under Gran Oriente Español (Spanish Grand Lodge). Borglum, Gutzon - American sculptor, Freemason raised in Howard Lodge No. 35. Borglum, Lincoln - Son of Gutzon Borglum, completed the Mount Rushmore project, Freemason raised in Battle River Lodge No. 92. Boswell, James - Scottish writer, Fremason raised in Canongate Kilwinning Lodge at Edinburgh, 1759. Bowell, Mackenzie - Prime Minister of Canada from 1894-1896, Freemason. Bowie, James - Frontiersman, Inventor of the Bowie knife. Freemason in L'Humble Chaumiere Lodge No. 19 Opelousas, Louisiana. Boyce, William D. - Founder of the Boy Scouts of America, Freemason. Bradman, Sir Donald - Australian cricketer, Freemason. Brahms, Johannes - Composer, Freemason. Brand, Sir Christoffel - First Speaker of the Legislative Assembly of the Cape Colony, Freemason. Brant, Joseph - Principal Chief of the Six Nations Indians. Freemason initiated in Lodge No. 417, 1776. First Master of Lodge No. 11, Mohawk Village (near Brantford) in 1798. Brătianu, Dimitrie - Prime Minister of Romania (1881), Freemason. Brătianu, Ion C. - Three-time Prime Minister of Romania, Freemason. 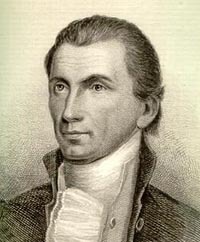 Brearley, David - Signer of the U.S. Constitution on behalf of New Jersey, Freemason, first Grand Master of Masons for the State of New Jersey. Breuning, Walter - World's oldest man at the time of his death of natural causes on April 14, 2011, aged 114 years, six months, twenty-five days. Freemason in Great Falls Lodge No. 118, Great Falls Montana for over 85 years. Brougham, Henry - Scottish abolitionist and founder of Edinburgh Review. Freemason raised in Fortrose Lodge, Stornway, Scotland. Brukenthal, Samuel von - Baron of the Holy Roman Empire, Freemason. Bryan, William Jennings - United States Congressman, U. S. Secretary of State and presidential candidate. Freemason in Lincoln Lodge No. 19, Lincoln, Nebraska. Buchanan, James - U.S. President, Freemason in Lodge No. 43, Lancaster, Pennsylvania. Buckles, Frank - Last living American veteran of World War I, Freemason. Buls, Charles - Mayor of Brussels in Belgium, Freemason. Burnaby, Robert - English explorer and businessman. Freemason, First Past Master of Victoria Lodge No. 1085, District Grand Master (English) of British Columbia. Burns, Conrad - US Senator from Montana, Freemason. 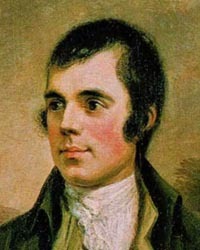 Burns, Robert - National poet of Scotland. Freemason in St. David's Lodge No. 174, Tarbolton. Burton, Harold H. - US Associate Justice (1945–1958), Freemason. Buysse, Cyriel - Flemish nationalist writer, Freemason. Byrd, Harry F. - Governor of Virginia, United States Senator from Virginia. Freemason in Hiram Lodge No. 21, Winchester, Virginia. Byrnes, James F. - US Associate Justice (1941–1942), Freemason. 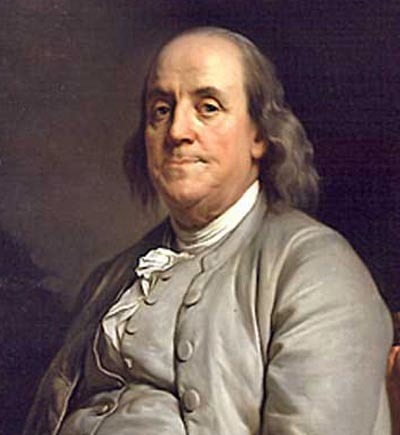 Benjamin Franklin, pictured at left, was Grand Master of the Provincial Grand Lodge of Pennsylvania in 1734.